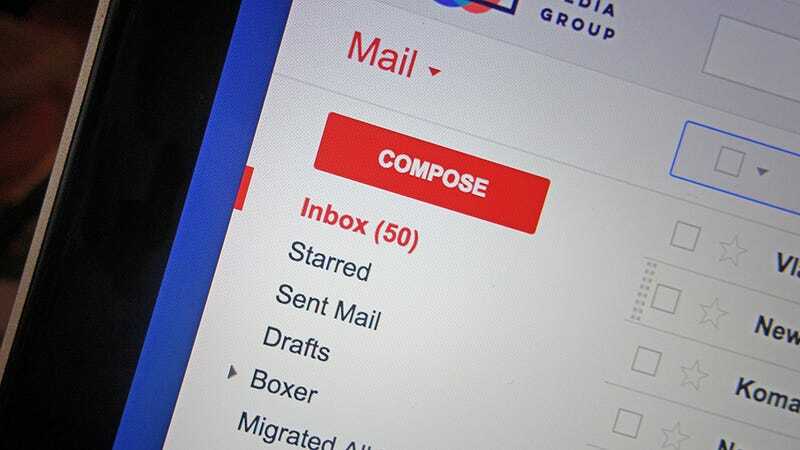 Dealing with the daily deluge of emails is time-consuming enough without having to waste precious minutes jumping between browser tabs or apps to check all of the accounts you’ve signed up for. These are the tools and tricks you need to bring all of your messages together into one place. Throughout this article we’ll be referring to POP (Post Office Protocol) and IMAP (Internet Message Access Protocol)—if you’ve not come across them before, they’re different ways of getting at your email accounts, and it helps to understand the various pros and cons of each before you get your all-encompassing email masterplan set up. Without getting too technical, POP essentially creates separate copies of your emails downloaded from your server, whereas IMAP creates temporary copies that are always synced back and forth with the server. It’s a little bit like having five separate copies of the same Word document on five different computers, and accessing a single Google Docs file from those five computers instead. POP downloads your messages and usually deletes the originals from the server, though some email clients let you leave the original in place in case you want to grab it from somewhere else as well; IMAP downloads a list of current emails from the server instead, syncing changes to and from this master list via any locations you’ve linked to your account from. POP is best for using with a single email client and for keeping emails offline if you need to. The more modern IMAP is preferable for modern-day cloud-based systems, as every device you use sees the same list of received messages, sent messages, drafts, and so on. Most apps and platforms use IMAP, but you might want to deploy POP once in a while. Gmail doesn’t let you view multiple accounts at once, but it does let you import messages from other accounts, including other Gmail accounts—open up the Accounts and Import tab in the Settings pane, then click Add an email account and enter the account details (your email provider should be able to help you here out if needed). This is all done via POP rather than IMAP, though, with the caveats mentioned above. Your emails might not appear immediately, and if you want to send messages from your secondary account inside the same Gmail window you also need to click Add another email address under the Send mail heading and fill out those details too. Apple won’t let you manage multiple email accounts on the web, but Microsoft will through the revamped Outlook.com: Open the Settings menu (via the cog icon) then click Connected accounts and follow the instructions on screen. It works with the likes of Gmail and Yahoo Mail, and even better, it uses IMAP by default (just make sure you’ve enabled IMAP in the source account first)—all your emails sync to and from the original account, and you can send and receive emails without any further configuration. You get the option to keep your imported emails in a separate folder, or mixed in with your main Outlook folders. Yahoo Mail supports multiple account imports too, and again it’s all done via the superior IMAP protocol—click the cog icon (far right) then More settings, then choose Mailboxes and Add mailbox to enter the details of the other accounts (Gmail and Outlook accounts just take a few clicks). Your separate email inboxes are listed down the left, together with a merged inbox underneath, so you have the option of browsing through your accounts individually or viewing everything that comes in in chronological order instead. Many of us have waved goodbye to desktop clients thanks to the ease of switching platforms and computers when all your messages are on the web, but desktop software can still come in handy sometimes—and often desktop apps have features that might be hard to access or more difficult to use in a web-based setting. As long as you’re using IMAP for your message access, your emails stay in the cloud as well as on your local machine, so you’ve really got the best of both worlds. If you spend a lot of your emailing time sat in front of one particular computer then it’s worth considering getting all of your accounts to feed into the same application. Outlook on Windows is now pretty tightly integrated with Outlook.com on the web, so any accounts you import through the web interface show up on the desktop, and vice versa. To add new accounts through the Windows 10 client, click File then Info then Add Account to start the setup process. The process is even more straightforward if you’re running the Mail app that comes as part of Windows 10. From the front screen, click the cog icon (bottom left) then Manage Accounts and Add account—from here you can add accounts of various types, including Google, Yahoo Mail, and iCloud, either through POP or through IMAP. There’s also a Link inboxes option on the same screen that dumps all of your imported messages into the same folders rather than adding separate entries for each account. Over on macOS you may well be using Apple Mail, and new accounts can be imported by clicking Mail then Add Account and entering the relevant details—both POP and IMAP are supported here. Mail will stick new messages from any account into the same Inbox so you can see everything together, as well as give you separate inboxes and folders underneath if you need them, which is an intuitive way of working. There are of course many more desktop email clients than we can cover here but the principles are the same and most of them will support accessing other accounts either through POP or IMAP—you just need to work out which one has the interface and workflow you prefer. While you can’t view multiple accounts simultaneously in Gmail for the web, you can do it in Gmail for Android, and indeed in Inbox for Android, using any kind of account you like—open up the drop-down menu underneath your avatar on the navigation pane on the left to find the option to add more accounts. This is different to the IMAP and POP importing we mentioned above, because it’s not actually mixing your messages together: It’s just showing them as mixed together, and letting you manage them from one place, while actually keeping them separate. You can add multiple accounts in the iOS versions of these apps too, though in those cases your accounts are kept on separate screens, with no “All inboxes” view. Multiple account support is available in many other apps, including Outlook for Android and iOS, Yahoo Mail for Android and iOS, Newton for Android and iOS and plenty more. Adding accounts is usually fairly straightforward and the options should be prominently displayed in your app of choice. Unfortunately multiple account syncing leaves a lot to be desired in some cases. If you’ve imported a second account on the web, some mobile apps (Outlook) will pick up on this and some (Yahoo Mail) won’t, so it might take a bit of trial and error to work out which one is going to be best for you. Layouts are also often different between mobile and the web (and desktop) too. Remember that mobile is really just giving you a window on your accounts—you’re not actually downloading anything, or if you are, it’s only temporary. If you want all your messages in the same (digital) space, use the importing options we mentioned above; if you just want to see all your messages on one or two screens, then find an app (after carefully weighing up all the other features besides multi-account support). In other words, if you import all your various email accounts into Gmail on the web as we described at the start, you don’t need that All inboxes view, because all your messages are cosily nestled together anyway in the same account. You’ve got a ton of different options for managing multiple accounts across the web, the desktop, and mobile, so that also excuse for missing an email because it went to another account is a lot more flimsy than it once was.